At times when dealing with clients we find there are difficulties understanding the difference between a solicitor and an advisor. So here’s the answer: Solicitor: Committing several years to university to become learned in the law, typically at least 3 years. This is also the starting point for the barristers who actually make the arguments in court. Those who are degree qualified in another academic area can become solicitors but they must complete a one year GDL conversion course in order to begin their legal studies. On top of their academic studies, trainee solicitors and barristers must also complete an additional training course on top of their degree. This usually involves taking a 12 month postgraduate study called the Legal Practice Course (LPC) which introduces the trainee to the day to day basics of actually practicing law, including using research skills to find solutions to legal problems and challenges, advocacy skills, court procedures and processes as well as client care. Once this extra study is complete, the trainee undertakes a two-year training contact within an established solicitors firm where they work under the close supervision of an experienced solicitor to build up their own practical experience. Once this two years is satisfactorily completed, they qualify as a solicitor. And given that immigration is a highly specialist area of UK law, most qualified immigration law professionals will also have undertaken additional training and maybe also a Masters Degree. All practicing solicitors are continually monitored and regulated and are required to attend personal development training on a regular basis in order to be able to renew their licence each year. All solicitors must work under a firm that is regulated by the Solicitors Regulation Authority (SRA), be covered by an indemnity insurance policy and also have a clear policy and procedure for resolving complaints. All of which means if there are any issues there are clear guidelines to follow to get a resolution. 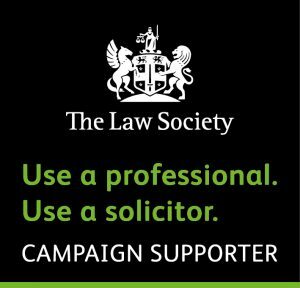 So, now we’ve gone through the specifics of what a solicitor is, how do advisers compare? Any one, including you, regardless of your education background could be an immigration advisor in a few weeks. Anyone at all, with no prior knowledge of or training in the law can become a registered OISC Immigration Advisor very quickly. All the requirements cover is an online multiple choice test that can be completed within an hour. No legal qualification, no being part of a regulating body and no need to work under the close supervision of an established professional for two years. Immigration advisors are regulated by the OISC and the path to becoming one is a straightforward one. All you are required to do is register an account on the OISC website and take an online, unsupervised test that covers the basics, apply for and pass a CRB check and finally complete an application to become an advisor. That’s it. 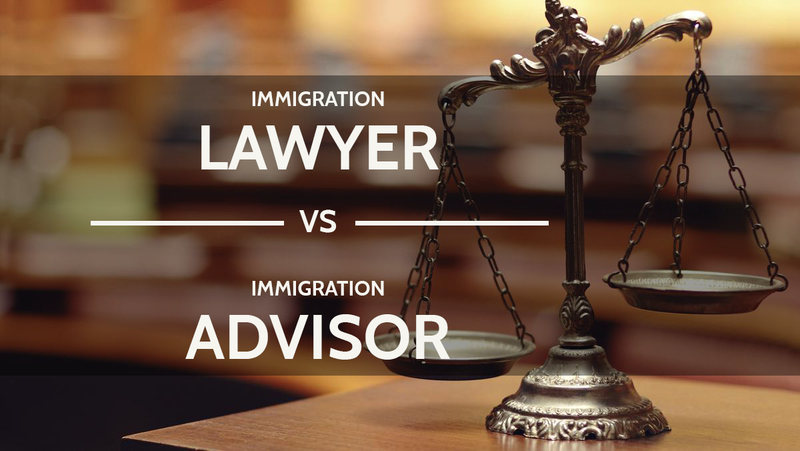 While on one hand it takes several years of hard study and supervised training to become a solicitor, you can become an accredited Immigration Advisor within roughly one month and three weeks of that is waiting for the CRB check in the post. Once you get it back, you’re free to set up shop as an Immigration Advisor and begin offering advice to clients that will affect their future. Well, don’t misunderstand us, this post isn’t us saying ‘all Immigration Advisors are terrible’ because we know that’s not the case. However, there is simply no substitute for the knowledge and experience that a seasoned law professional has picked up in their journey to becoming licenced to practice law. A 1 hour test and a CRB check are no comparison. Immigration matters can be expensive and there is no 100% guarantee of success, so why wouldn’t you give your case the best chance by engaging an experienced, professional firm? That’s not to say of course that there aren’t less than honest solicitors firms out there – there are – but thanks to Solicitor Regulations Authority regulation you do have a clear course of action to follow to resolve any disputes. The SRA have never hesitated to instruct law firms to pay compensation or refund fees if they find misconduct or negligence so you as the client are covered against those eventualities. At UK Immigration Solicitors we are fully SRA regulated and we work on what’s called an ‘Agreed Fixed Fee’ basis. What this means is that once we have understood your needs and established what work needs to be done, we inform you of a fixed cost for those services which means no additional sums later, so no nasty surprises. We also keep you updated on the progress of your case throughout the process. A good way to understand the difference between solicitors and advisors is this: You have a handyman who you call in when you need plumbing issues fixed, decorating done etc but say you now want to build yourself a new house from scratch. The handyman can fix most things around the house but are you going to call him in to build your new house from scratch or approach a civil engineer to design it and a construction company to build it? Remember, you get what you pay for so next time you need assistance with an immigration matter, get yourself an expert!